Grids & Gestures Exercise. The text behind my experience. 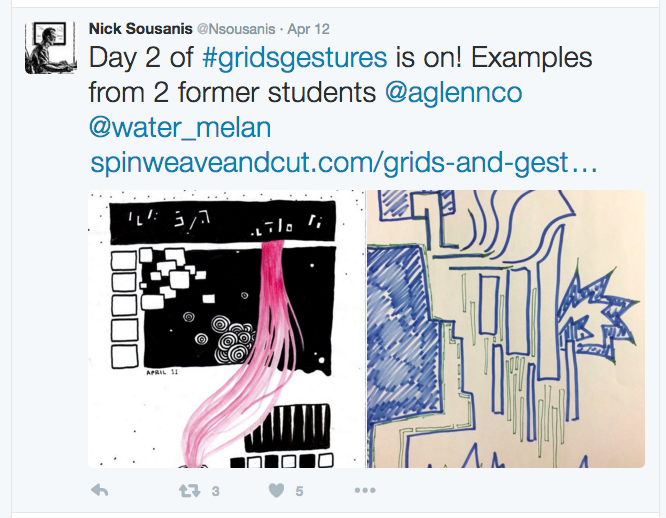 Nick Sousanis’ Grids and Gestures 5 day online exercise has come to an end. It’s been a while since I’ve felt so engaged in an online activity. It was a lot of fun and I particularly liked the diversity of the group who participated. 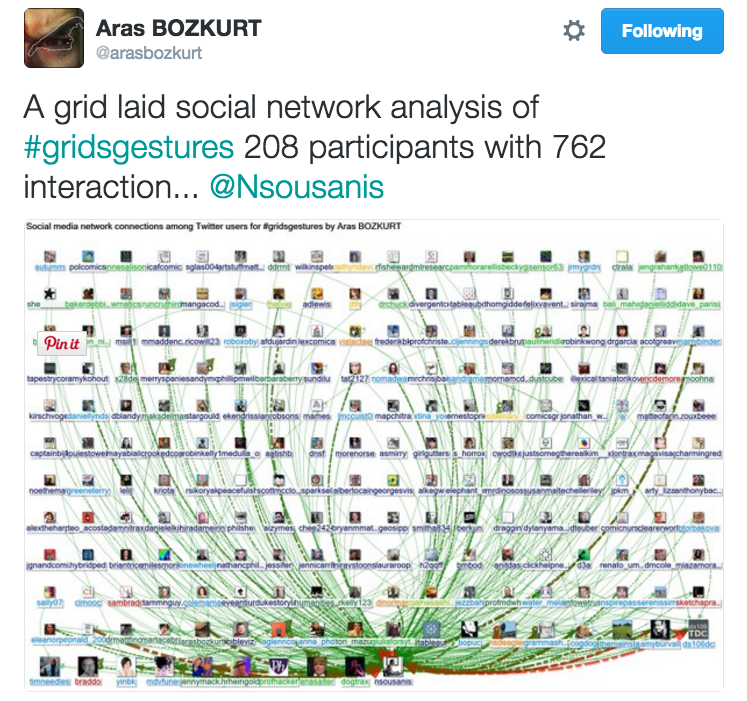 Aras Bozkurt tells us that there were 208 participants and 762 interactions. 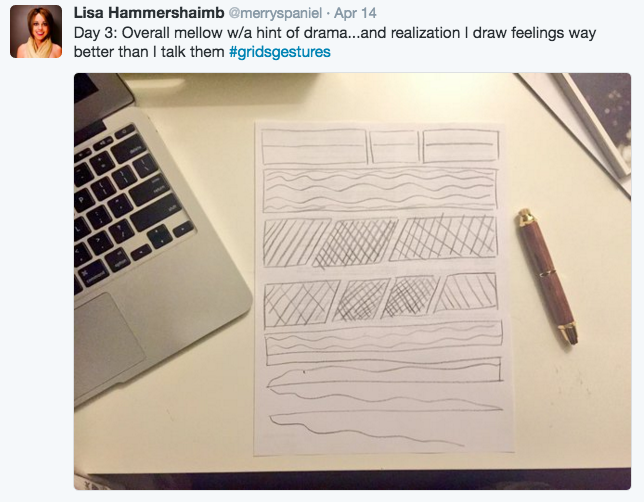 I provided links to details of this comic drawing activity in my last post, so I won’t repeat them here, except to say that for me it was less about drawing and more about the impact of visual images and drawing on perception. And I will also say again that Nick Sousanis’ book – Unflattening – (which provides the background to this exercise) is fascinating, thought provoking and visually stimulating. 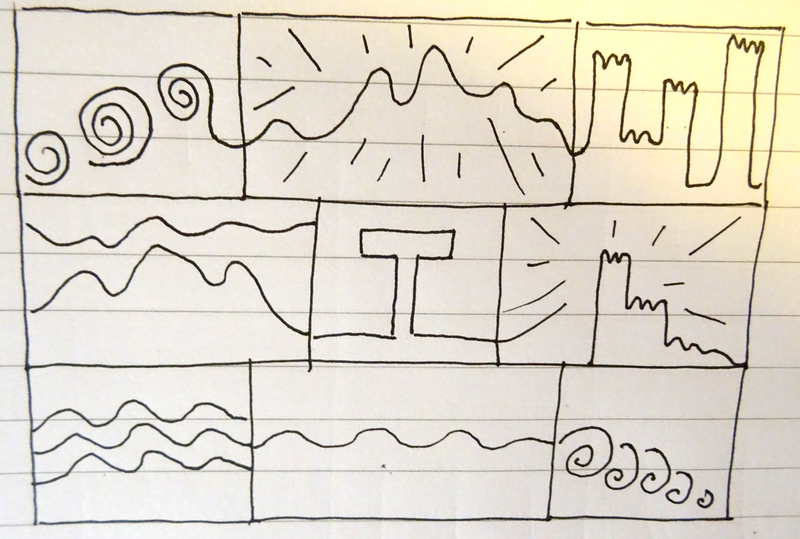 The task/exercise was to draw the shape of our day in comic format, ideally (at least to begin with) in grid format and without any text. On the first day (Tuesday for me as I discovered the activity a day late), I followed the rules. I had just finished reading Nick Sousanis’ book, so although I didn’t reference it whilst drawing, I know that his use of black and white, and his drawings that depict direction, influenced me. I was on holiday so I only had a pad of lined paper and a black pen. I drew without any other aids. It didn’t take me long. The trickiest bit was working out how to add the photo I took of the drawing to Twitter. It is the first time I have added an image to a tweet. It’s interesting to remember that the difficulties people encounter with online activities are sometimes those we don’t expect. On Wednesday I took a slightly different approach. 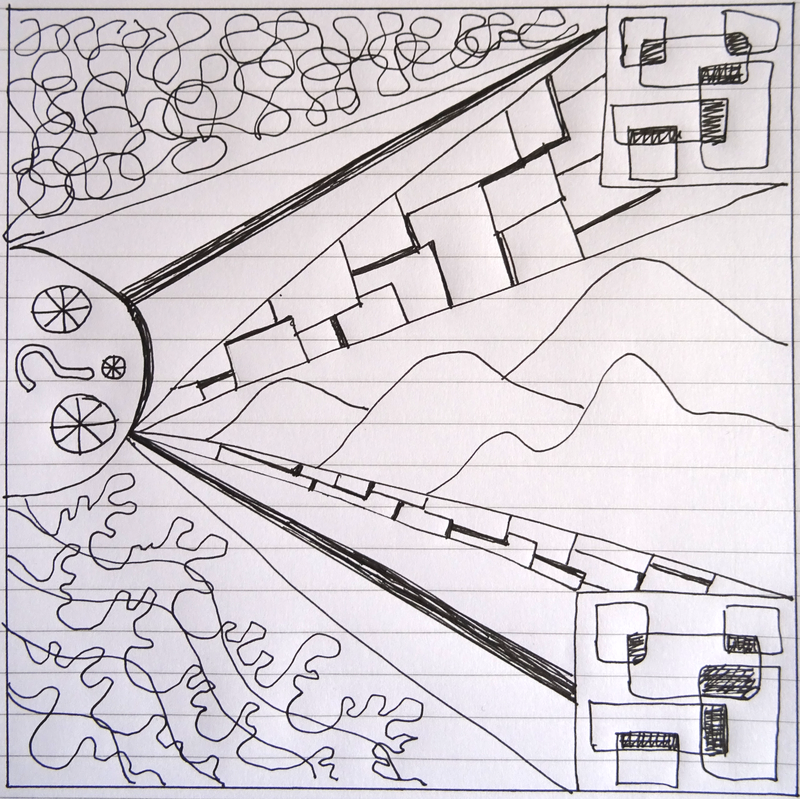 Whilst my Tuesday drawing was about feelings, Wednesday’s drawing was of places and I made some attempt to connect the grids. 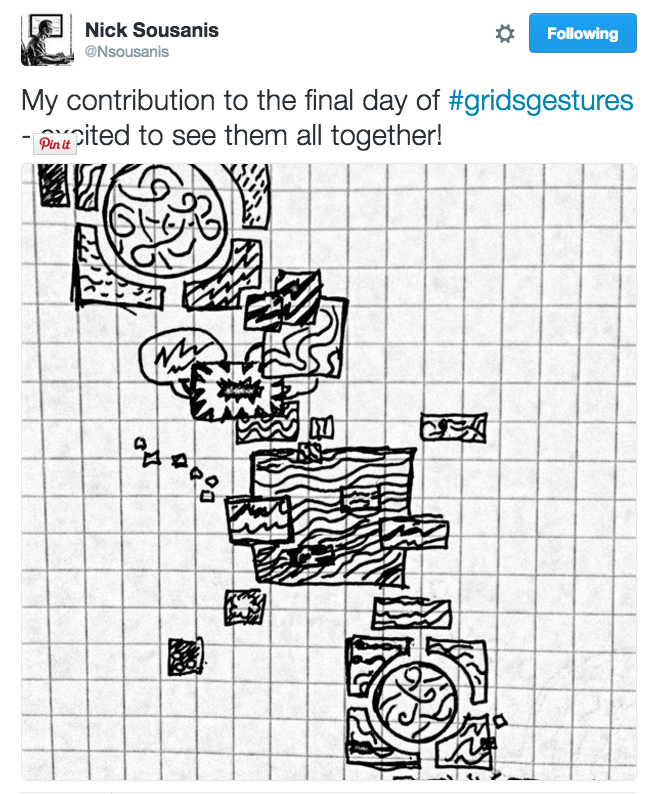 On Thursday I abandoned the grids. I’m uncertain about the outcome – too busy? But it does tell the story of my day. On Friday I spent most of the day working on a research paper, topped and tailed by physical activity. This wasn’t easy to depict. Again I abandoned the grids. 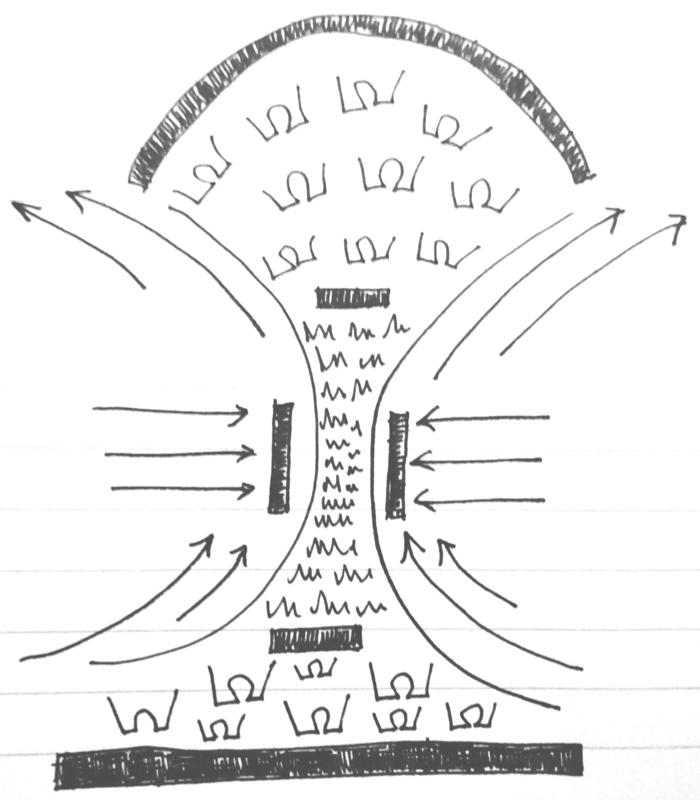 I tried not to get hung up on a perfect outcome, or even an aesthetically pleasing outcome, but simply to think about how I could depict the shape of my day. I like this even less! By this time I had seen many other examples – Click here for the Twitter stream full of wonderful work. I was intrigued by how some people did completely their own thing right from the word go. Was this deliberate, or had they simply not read the exercise instructions? Possibly the latter because half way through I realised that I had missed the bit about size of panels, shape and orientation. I never did get a handle on this. Then there were the people who used colour and different media straight off – paint, pencils, pastels, even video. It made me wonder about the influence of colour on the outcome and also the influence of colour on how the drawing is interpreted. Even when I came home and had access to coloured pencils, I didn’t want to use it, although for my life drawing classes I love the use of colour. I haven’t yet worked out why this is so. There were people who used plain paper, coloured paper, squared paper. I noted that Nick himself used squared paper, so on the final day I went to the village shop and bought a pad of graph paper. Without this I don’t think I could have produced Saturday’s drawing. This was the most time consuming drawing. I wanted to try and do something that might vaguely resemble a comic, but I have mixed feelings about it and I would have liked a finer pen for the text. There were also people who were clearly using some sort of drawing software, with great results, but I probably wouldn’t have joined this activity if it had involved using drawing software. giving advice and encouragement, responding to participant comments and questions, retweeting participant drawings and generally being very present. It was also good to see the work of some of his past students, to see what could be achieved. It seems appropriate to finish off with those. Thanks to all for this memorable experience. Thanks for this commentary. 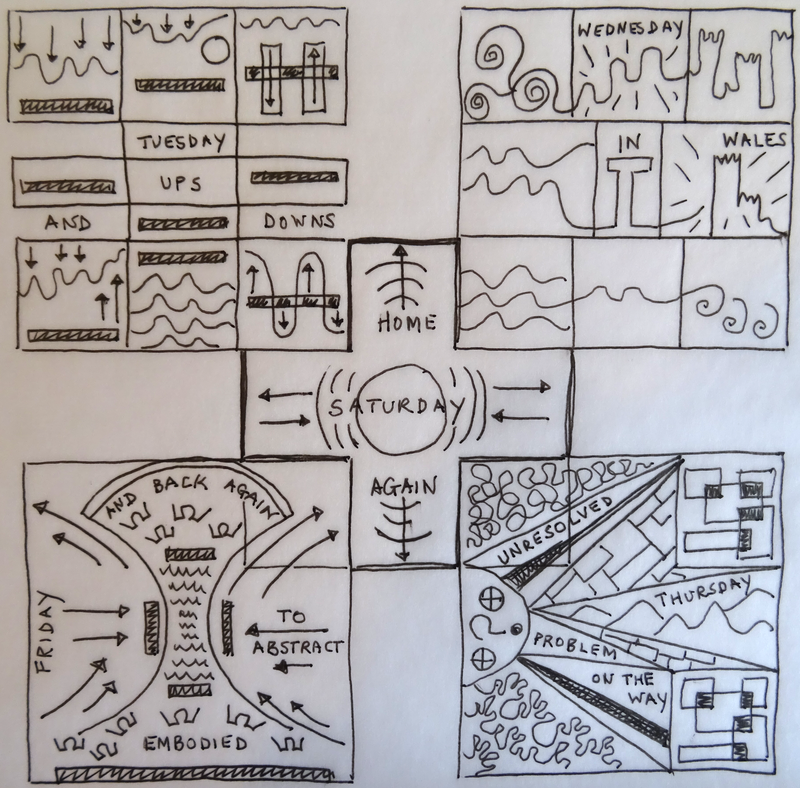 I too found the task fascinating and challenging – I had read the instructions and loved Unflattening but found it almost impossible to stick to a grid, partly due to current home circs as a carer. So although I was disappointed by the results, I found the exercise generated much more valuable reflection than I was expecting. Incidentally I was one who used software (Paper) as quickest way to draw with finger on my iPad and save to Twitter. But I think I’ll revert to real paper and pen when I revisit. If you get an iPad, I recommend Brushes as a great drawing app. 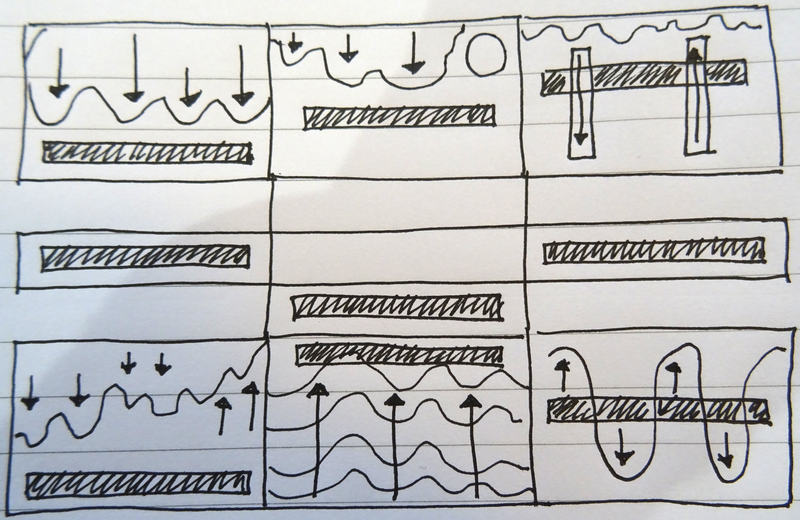 Also good for sketch notes from lectures as you can save as a video to replay or publish later. Sunni Brown posted a “how to” somewhere online – let me know if you’d like the link. Many thanks for that Pauline. It would be useful to have the Sunni Brown link some time – for future reference – but there is no rush – as I don’t yet have an iPad! Many thanks Pauline. I will explore both those.